Both Ricardo and EXNOVO provide high quality engineering and design services to the world’s leading motorcycle and scooter manufacturers. With Ricardo’s expertise in state-of-the-art power train engineering and vehicle based integration, development, emission control and refinement, the company frequently finds itself working alongside EXNOVO’s industrial designers providing chassis engineering and aesthetic design for the same customer. Following the signature of a Memorandum of Understanding (MoU) announced today, Ricardo will be able to offer an exclusive, combined service, providing a fully comprehensive range of motorcycle and scooter design, engineering and development capabilities up to and including turn-key concept to production implementation programmes. For new customers, the synergies available from the collaboration will be particularly attractive, while existing customers will enjoy the efficiency savings that it will bring, by sourcing the whole vehicle engineering programme from a single partner. 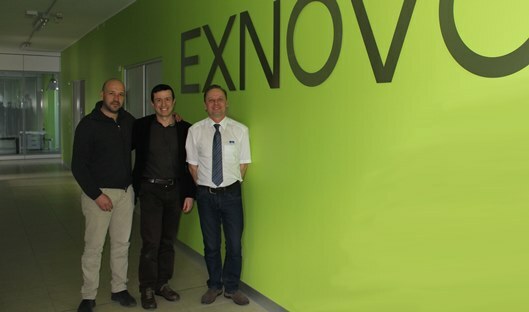 “We are excited to be collaborating more formally with Ricardo, after almost six years of continuous and successful cooperation on current projects”, says EXNOVO’s CEO Massimo Lotti. “We are sure that the highly complementary strengths of the two companies make a powerful and compelling offering for the international motorcycle and scooter industry”.